Read more "IELTS Dictation 1"
Read more "IELTS Spelling Test 6"
Hello IELTS Spellers, Here is number 5 of our IELTS Spelling practice. Get your paper and pencils ready. Don’t forget to share your answers with other IELTS students in the Reply box below. Good luck! Photo Credit: quisnovus via Compfight Until next time! Read more "IELTS Spelling Test 5"
Here’s another one for you IELTS spelling enthusiasts! See if you can get these common words written down correctly. Share your answers in the Reply box below and compare how you do with other IELTS students. Good luck! Photo Credit: Barbara via Compfight Until next time! 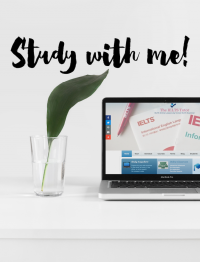 Read more "IELTS Spelling Test 4"
Read more "IELTS Spelling Test 3"
Read more "IELTS Spelling Test 2"
Read more "IELTS Spelling Test 1"
I came across this interesting article that may or may not answer this question: Program vs Programme What’s the difference? Until next time! Read more "Programme or Program?"